The hotel offers 325 rooms and 22 suites, all with peaceful garden view are fitted with air-conditioning, satellite TV, direct dial phone, minibar and safe. 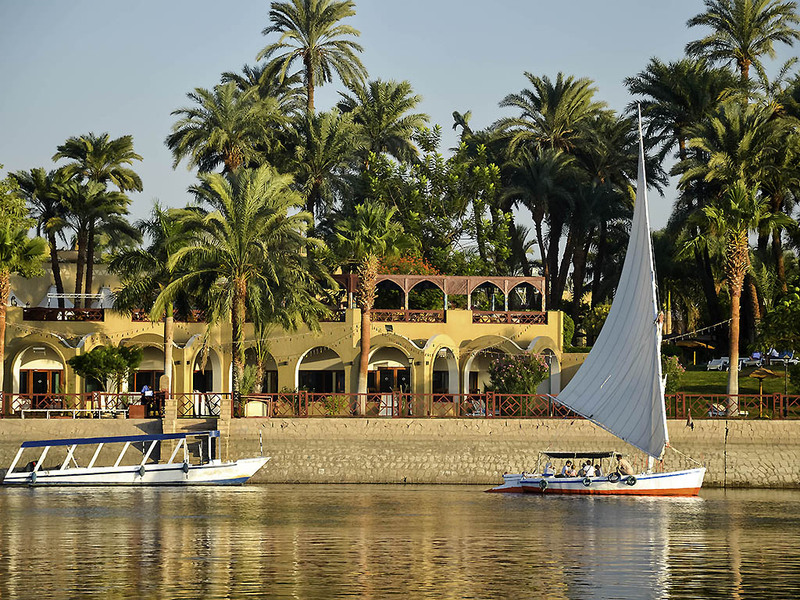 With its magnificent view to the Nile and the terrace on the garden, the restaurant offers à-la-carte menu for lunch and dinner. Designed as a pharaonic temple, Opet restaurant offers a dining experience where you taste variety of international and local dishes in a buffet style with different evening themes and unique atmosphere. Enjoy a wide selection of cocktails, international drinks, blended coffee and tea along with evening live entertainment. Carter's Bar opens daily from 4pm till midnight. A beautiful terrace located directly on the Nile. Enjoy the sunset while having your tea or coffee. You will return back to 50's of the previous century while enjoying the lovely atmosphere. An Arabic designed place. Located in the lobby area, offers cocktails, hot beverages, snacks and sandwiches and evening.